Download the CEC Canadian Membership Brochure. 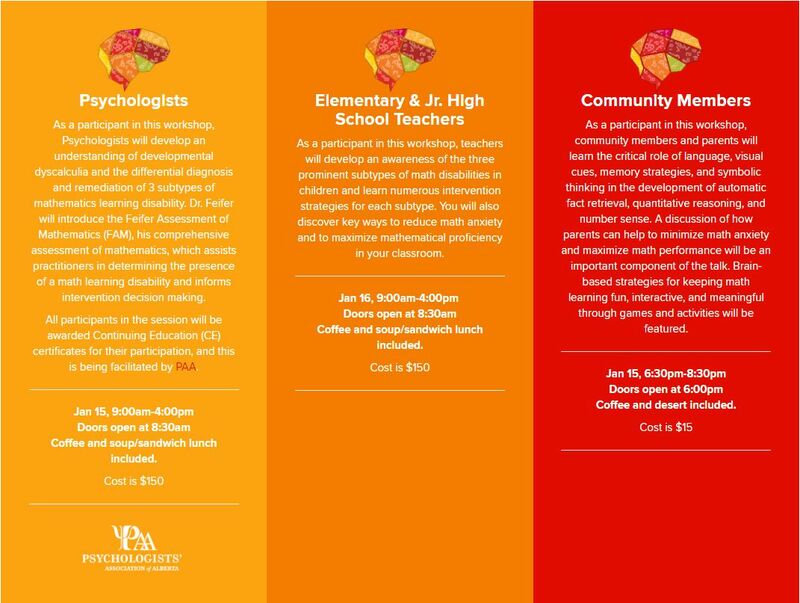 The Neuropsychology of Mathematics speaker events will explore how young children learn basic mathematical skills, from a brain-based educational perspective, for a variety of audiences. Dr. Feifer will explore the role of primary neurocognitive processes involved in the acquisition of significant foundational number skills. Participants in each stakeholder group will learn how to integrate this exciting new knowledge in their support of children’s math learning. 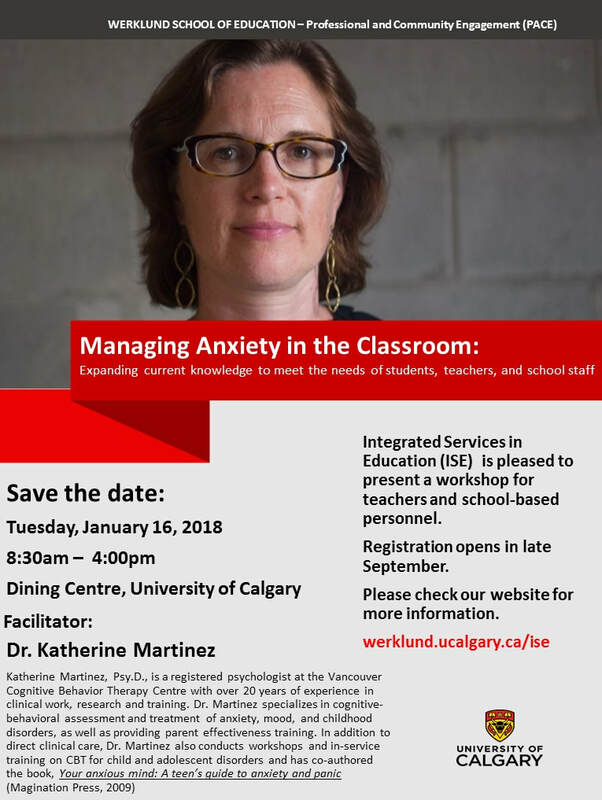 This event which is co-sponsored by Integrated Services in Education and the Alberta Council for Exceptional Children is of interest to psychologists, elementary and junior high teachers and community members. Integrated Services in Education (ISE) offers high-quality psychoeducational assessments to support the educational and psychological well-being of children and adolescents. No refunds are available. Printable receipts available following registration below. All members are invited to attend the Annual Meeting for the Alberta Council for Exceptional Children (ACEC) to be held on Monday, June 3rd, 2017 from 6:30pm - 7:30pm via Skype. Please contact Shawn Crawford (President) at shawn.crawford@outlook.com with your Skype address if you would like to attend! FULL DAY WORKSHOP: Practical Management of "Tough Kids"